Adam Craig marked his return from the USA by winning the Great Scottish 10k in Glasgow. The Edinburgh AC athlete has spent three years at the University of Mount Olive in North Carolina. He snared victory in 29 minutes and 43 seconds, well clear of Aberdeen’s Cameron Strachan. “I am now living in Glasgow and putting in a good year getting my times down and then trying to see if I can go full-time as an athlete,” Craig said. “I was looking for sub 30 today and I am happy with the win and the time. I’ve only run one 10k on the road, and that was some years ago in Leeds. 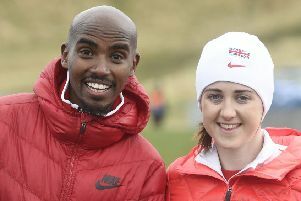 Edinburgh University Hare and Hounds’ Mhairi Maclennan started her winter campaign with second place in the women’s 10k, just 12 seconds behind fellow GB internationalist Gemma Steel. 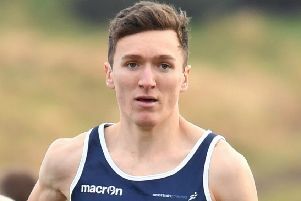 “I wasn’t really expecting a quick time and I’ve just come off my break so it was a benchmark to see where I’m at before the cross-country season,” Maclennan said. Chris Thompson and Mare Dibaba were the men’s and women’s winners of the Great Scottish Run over half-marathon distance.